This is a question that many homeowners ask as their properties get older. 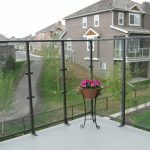 Maintaining a deck as it grows old entails minor repairs such as fixing railings and major repairs like replacing broken stairs. But eventually, the cost of repairs gets so high that it is time to consider replacing the deck entirely. How do you determine whether to replace or repair the deck? The only way to know the extent of damage to the deck is executing a thorough examination. 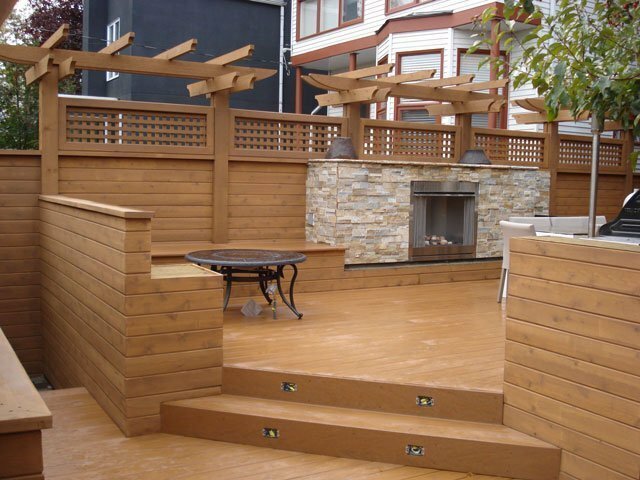 Have a qualified contractor look over the whole deck. This includes the foundation, under-deck, and deck surface and deck railings. Some of the common problems that will come out include rotting, splitting, frost heave, and pest infestation. Frame material – If the deck is made of wood, is it treated wood or not? If the wood is rotting and is untreated, it has to be replaced. Posts – These will usually start rotting at their contact point with the footing or ground. If the posts are sunk into the ground and are rotting, they would have to be replaced. What would be the cost of replacement? Can you afford a replacement with a quality deck? The cost will largely depend on the material used. Natural wood is affordable to install but needs regular maintenance which could raise the costs over time. Composite materials need higher installation costs but require little maintenance over time. To get a true picture of costs involved, ask a contractor to give you a price quote. What will be the maintenance demands? While traditional hardwood is very attractive, it has higher demands in repair and maintenance as it is prone to rotting, bug infestation and splitting from weather changes. Advances in building technology have brought up composite materials that are as attractive as hardwood but requires less maintenance. These materials are resistant to weather changes and pest infestation. Compare the yearly maintenance costs of the existing deck versus the cost and maintenance of a new one. The issue of time and convenience should weigh on your consideration. Repairs take less time to complete but are bound to be needed again in a short interval. Replacing will take longer to complete, but it will be a long time until you need to work on the deck again.